Pictured: The 10’x8′ Aurora Greenhouse/Gardening Shed by Backyard Buildings and More – the premium-built, sun-soaked garden oasis designed for any backyard. Garden sheds are classified according to type, materials used and style. These are all factors that make them ideal for some gardens and not others. 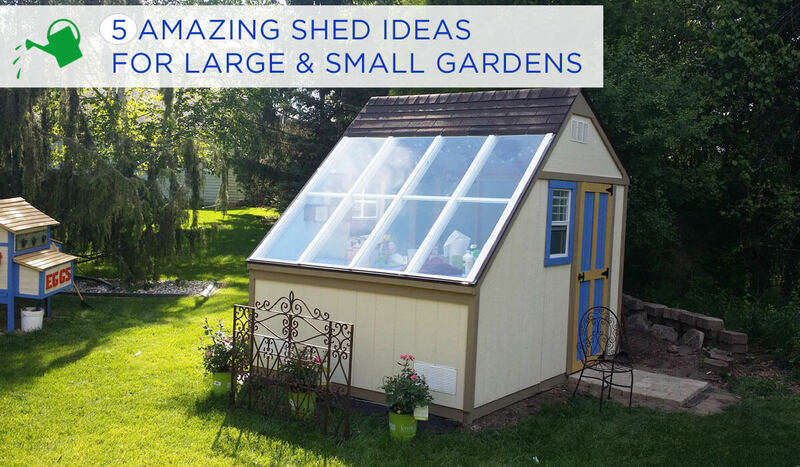 These 5 amazing shed ideas will inspire you, no matter the size of your garden. 1. Modern sheds are more decorative and at the center stage of most homes. Decorative materials, polished finishes, and window treatments can help you enjoy the shed as more than simply extra storage space. Your home will certainly become the talk of the town if you decide to make your shed the focal point of your garden. If you have limited space, choose a dark color to reduce eye impact while still accentuating your yard. 2. Sheds are used for more than just storage by people who need extra room for their guests, office space or simply a private recluse. If the shed will be your private place, consider having insulation, a bathroom, and electrical points. You can go as big as you like with a big garden, but if you are working with little space, choose a corner with a great view and be sure to keep in mind the size of your shed unless you want it to take over your entire yard. 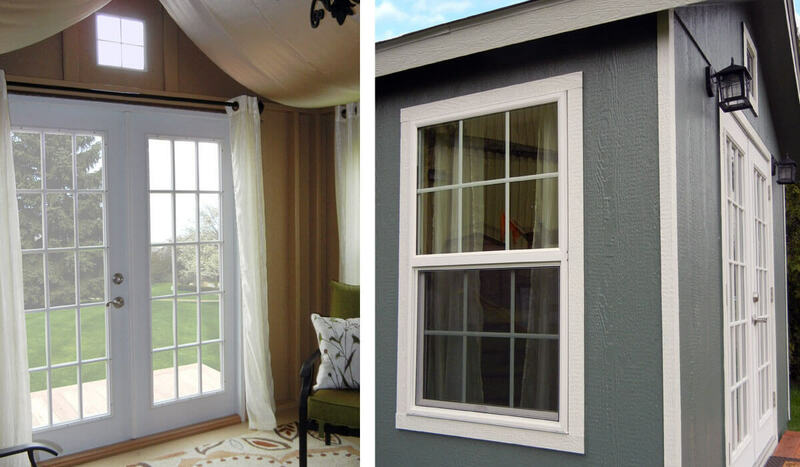 French doors and large windows to the outside world – OH MY! This is not your Grandfather’s shed! 3. If you have a big garden, it is likely that you will have enough room for a detached shed. 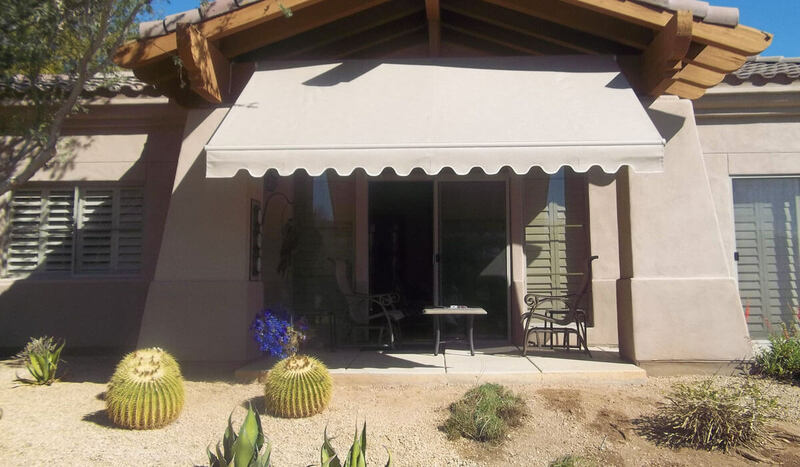 A good idea would be to have retractable awnings attached to it for extra shade on the deck and there is no better candidate than a Lattice patio cover. Phoenix landscapers just like in most places mainly prefer the covers for they allow in some sun even as they provide shade in your garden. Patio covers are available in different shapes and sizes, making it easy to customize one to your tastes. 4. Add some flowers in two rows to create a beautiful pathway to your shed. If you have ample space, the plants may be tall with far reaching branches, but be sure to add some shrubs to create drama and a pop of color. With more confined space, potted plants and short brightly colored plants would just be perfect if you know where to put them. 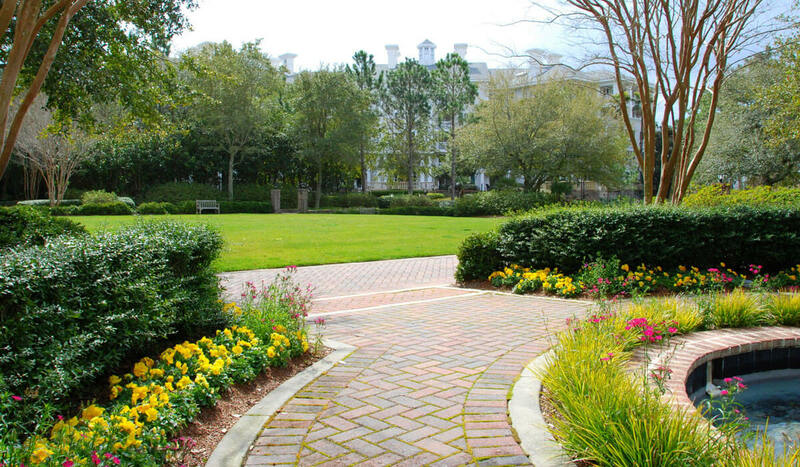 Create a stone paved pathway by hand in the garden, in between your rows of flowers for a dramatic touch. It is even better if this path to your shed is long and winding as it makes for great contrast among the plants. You can get as creative as possible with the area around your shed, even including water features. 5. 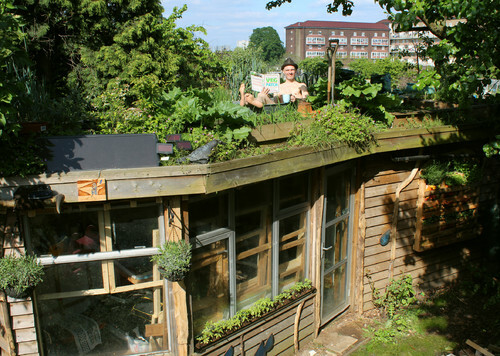 Green roofs are the in thing for gardens of all sizes. Covering the roof with some amount of greenery is not only beneficial to wildlife but it also creates a stunning effect. Adding greenery keeps a shed warmer in winter and much cooler in summer. If you are concerned with rooting, get turfs that are easily fitted and can be cut to size. There you have it. Today’s garden sheds come in many sizes, styles and shapes giving you, the buyer, several creative options to find the perfect functional space for your garden. 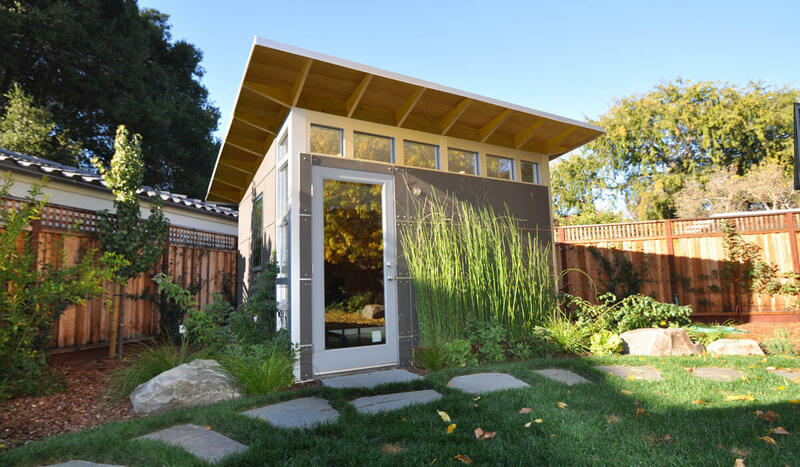 Sheds don’t have to be a mundane wooden box that distracts from your backyard landscape. It should standout and add value to your home! Here’s to you and your new shed!